In this Motivate Monday session repeat guest Steven Shattuck took some time out of his day to bestow his wisdom upon us once again. This time, he came prepared with a presentation on the current state of nonprofit bequest marketing, and it will open your eyes to dangerous trends among US nonprofits in regards to how they treat bequest giving. 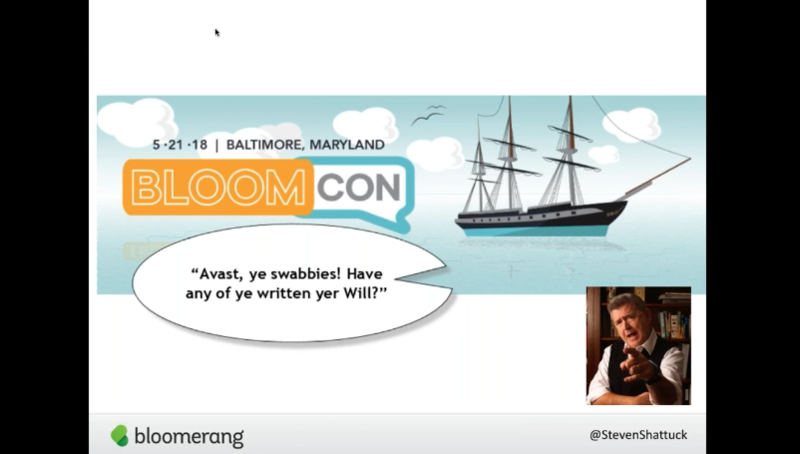 There’s lots to say about Steven, who’s currently Chief Engagement Officer at Bloomerang, where he leads multiple teams, hosts Bloomerang TV, and curates their blog. He’s also co-founder of Launch Cause, a nonprofit org dedicated to helping emerging orgs in the Indianapolis area. 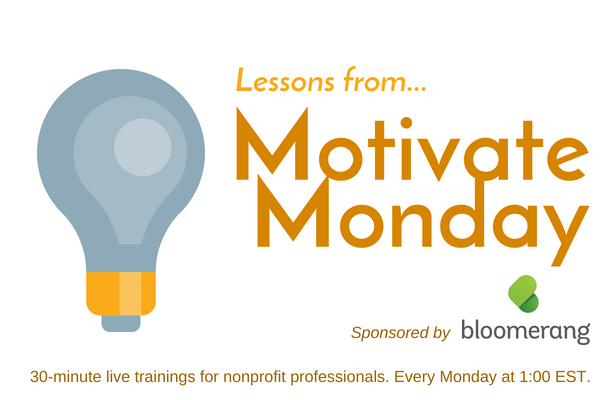 He’s produced videos, digital content, and written content for a long list of renowned nonprofits, co-authored Fundraising Principles & Practice: Second Edition, and served as a keynote speaker and presenter. Steven is a recipient of The David Letterman Scholarship and even got to meet David’s mom. How cool is that?! So as I said, Steven’s presentation will be one heck of an eye-opener for you. The fact of the matter is, nonprofits struggle to talk about bequest fundraising, let alone include it in their overall big picture and fundraising plan. Steven pointed to a stat from Tom Ahern showing the US at $32,000 per charitable bequest, below the UK’s nearly-double $54,000, and far below Australia’s €200,000. Hmmmm. Could it be that Australia is giving donor love the tightest embrace of all? Wondering why the US struggles so much, Steven set out to create a survey with the help of Tom Ahern and Russell James, hoping to gain insight on how nonprofits treat bequest giving. The results are in line with what I’ve witnessed over my career. And, after you view the recording, should you decide that your nonprofit could use some help in the area of planned giving, check out our comprehensive class on bequest marketing, Planned Giving Intensive | Basics & More™. Previous post: Power of Storytelling | Shriners does good through the power of love — from their donors! Power of Storytelling | Shriners does good through the power of love — from their donors!